The summer I was thirteen, babysitting filled days and nights. Having a baby brother who was two marked me the authority teen on caring for the neighborhood’s younger set. It was an enviable position. Money, snacks galore and fame amongst parents desperate for respite and little ones looking for a sitter to actually play with them. In the seventies, when parents said that, they might. If my friends dared show up, my panicked, quaking voice told them, “Leave. My parents will kill me.” They left because they knew, after my parents killed me, they’d call their parents and their parents would kill them. And on it went. Kids came in when street lights came on, often with jars of lightning bugs which we placed next to their beds to scare away monsters and bad guys. Chicago television featured the 10:30 movie and sometimes even one after that, before the national anthem played and the station went fuzzy. It is while babysitting that girls across Chicagoland watched movies forbidden at home. The Graduate, while highly redacted, gave us bragging rights later. Wolfman, Dracula and other ghouls provided weekly terror. One Saturday night at the McDermott’s house, all five kids were safely tucked in, fireflies at the ready. Yes, in the seventies, number of kids made no matter–one or ten–pay was the same. And in my little neighborhood everyone had a million kids. And was Catholic. And white. And had the same size house–there were five styles from which to choose. Only difference was in the decorating. White bread doesn’t even come close. A movie presents itself, What Ever Happened to Baby Jane? Half an hour into this classic creeper featuring Bette Davis and Joan Crawford, one simply cannot turn away. To this day, it tops the list of camp horror movies and it’s “jump” level will never be replicated. It marks the beginning of my fascination with the 40’s, women of glam, camp, bitchiness and the power it holds. Ryan Murphy, of American Horror Story another lover of campy, bitchy women, offers a new idea: Feud. This latest offering provides a look behind the scenes of Baby Jane and the two most powerful women in Hollywood at the time–aging and persecuted for it. Who better to play the pair than Jessica Lange and Susan Sarandon? Squees abound with the news. I force Middle Chicken to watch the first installment. She is interested, probably more so for my benefit. 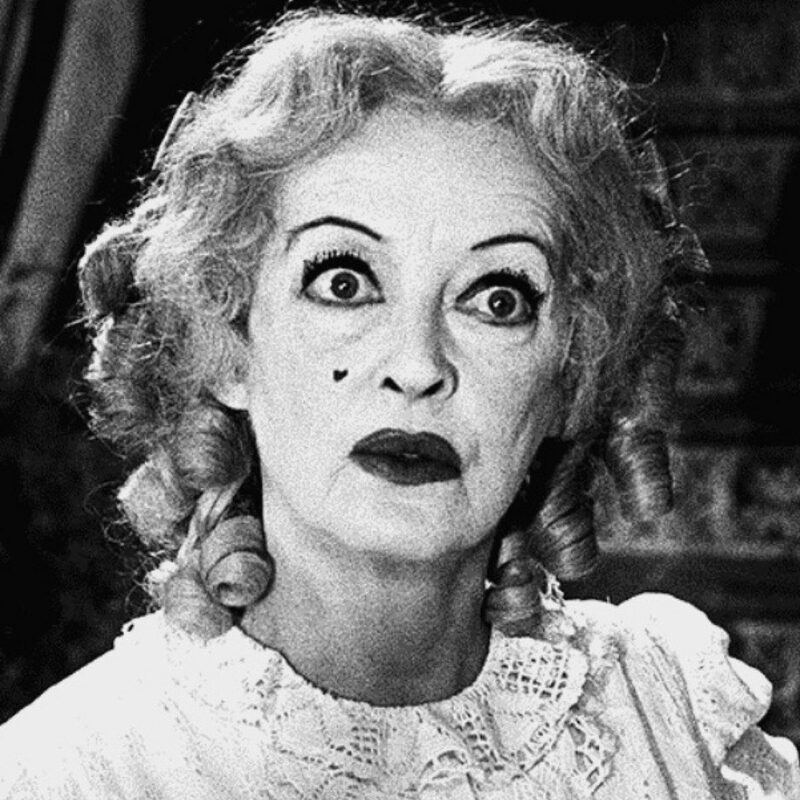 And then Susan Sarandon emerges, full Baby Jane face, and she gasps. It’s the same gasp everyone elicits on first sight. Could this get any better? Hearts pound in anticipation. Stay tuned my dolls.